One.’ Throughout Scripture the name of the Messiah is associated with life. He is—Jehovah—the I Am—the Being of beings—the Possessor of all life—the giver of all life—the living and the life-giving One. His association with death is only transient—and that for the purpose of overcoming death, and bringing life out of death. He is the PRINCE of life—He is the LIGHT of life—He is the BREAD of Life—He is the WATER of life. Everything connected with LIFE is linked with Him; for as the Father has life in Himself, so has He given to the Son to have life in Himself. The words, “I am living One,’ would remind John of the many things which he himself had narrated, and of the many words he had recorded concerning Christ as the Life; for he, of all the evangelists, has brought this great truth before us. It was as the Living One that He said, ‘the Son quickens whom he will’ (John 5:21). ‘He who believes in me has everlasting life. This is the bread that came down from heaven, that if a man eats of it, he shall not die. If any man eat of this bread, he shall live forever. Whoever eats my flesh, and drinks my blood, has eternal life’ (John 6:50-54). Ah! Truly it was the living One who spoke such words as these; and it is as the living One that He utters them still. We fall at His feet, like John, as one dead! He lays His right hand upon us, and says to us, “fear not; I am the living One;’ it is not death, but life, that I have come to bring; and in beholding the glory of the living One, it is life, not death, that you should look for! Or, more literally, ‘I became dead,’ I laid down my life. His word of cheer to John, then, is; ‘Fear not; I am He who died.’ The words here remind us of those of Paul—’Who shall lay anything to the charge of God’s elect? It is Christ who died.’ Yes; it was with the Christ who died, that Paul had to do; and it was with the Christ who died that John also had to do, though, in the blaze of the glory that now dazzled him, he seems to have lost sight of this. To this, however, the Lord recalls him, in order to reassure him. He takes him back to the cross, and reminds him of what he saw and heard there. 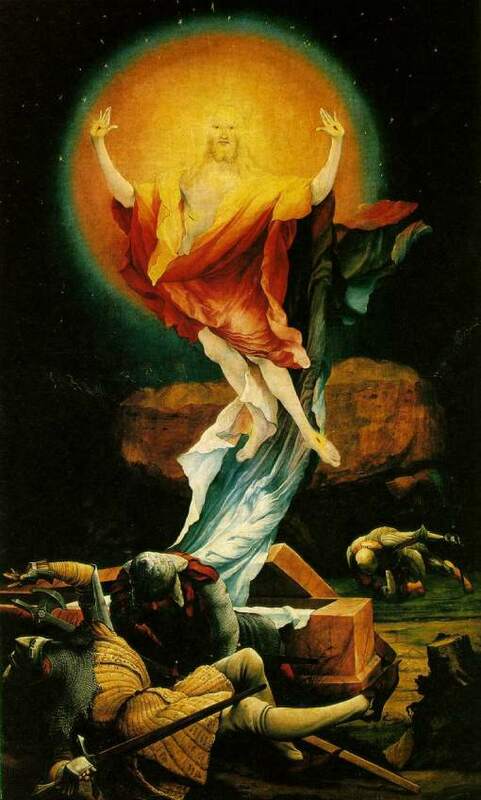 He sends him to the tomb, that he may again look upon the dead body of his Master. I AM ALIVE FOR EVERMORE. ‘Though I died once, yet I die no more—death has me no more—death has no more dominion over me—I LIVE forever!’ To have died, and yet to have triumphed over death—no, to have triumphed over it by dying, so that never again could death approach Him—this was the truth by which the risen Christ comforted His affrighted apostle. In DEATH He showed Himself the Lord of life! In LIFE He showed Himself the Lord of death! In dying, and living again, He showed Himself all that a sinner needs to give him boldness in his dealings with Him. This ever-living One, with whom death has now no more to do; this ever-living One, between whom and everything pertaining to death, a great gulf is fixed—He it is with whom we have to deal, in the great transactions of life and death. No amount of death in us can affect Him, or prevent us receiving His endless life. Our death is swallowed up in this boundless life; so that, where ‘death’ has abounded, their ‘life’ abounds much more. This is the tree of life, whose leaves are health, whose fruit is immortality. Let us gather round and under this great ‘Plant of Renown’; from it to draw present life to our souls, and the assurance of resurrection to ourselves, and to all who have slept in Jesus!